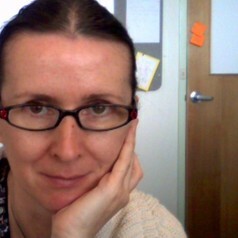 Malgorzata is an Associate Investigator at the Australian Research Council Centre of Excellence in the Frontiers of Mathematics and Statistics. Her research interests are in stochastic modelling, applied probabiliy and operations research. Her keen area of interest are Markovian-modulated models and matrix-analytic methods. Markovian-modulated models are processes in which a Markov chain is an underlying driving process. Markov chains are the most important class of stochastic models in the theory of probability, due to their powerful modeling features and numerical tractability. Markovian-modulated models have attracted a lot of interest due to their applicability to a wide range of real-life systems of great engineering or environmental significance, well beyond applications in high-speed telecommunications systems, from which they were originally derived. The applications of these include ad-hoc mobile networks, the process of coral bleaching, operation of hydro-power generation, amongst other examples. Malgorzata's recent interest is in two-dimensional and time-varying Markovian-modulated models. She is interested in constructing models, analyzing them analytically, deriving mathematical expressions for transient and stationary performance measures, building efficient algorithms for their numerical evaluations, and applying the models in real life systems.